The UK travel trade are to visit a part of the UK not always considered to be a tourist destination. And as it’s taking place on Valentine’s Day the organisers are sending out invitations for a unique date! Watford in Hertfordshire is to welcome coach and tour operators and group travel organisers during a special Love Watford Coach and Group Travel Day on Saturday 14th February. Commencing at 10.00 am at the Palace Theatre, the invited tour planners will take in a highly enjoyable fact-finding stroll through the many attractions and sites of Watford including the recently re-sited indoor market, the brand new Parade area, Watford Museum, as well as the exciting plans for the re development of the INTU shopping centre soon to be unveiled in the town. The group will also see first-hand the new arrangements for coach drop off, pick up and parking, deemed so essential in order to attract the spending power of tourists. 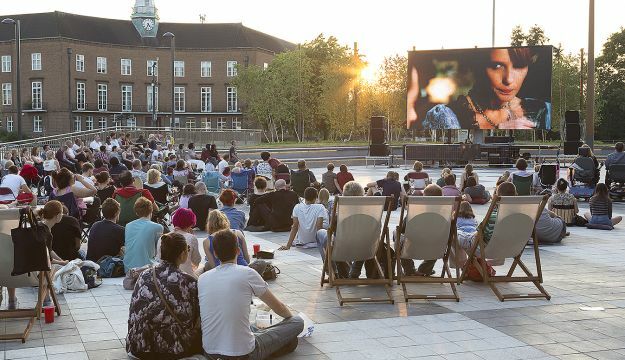 And Watford’s hugely successful annual events programme will be showcased and this includes on that very day the Valentine Day Food Festival. The VIP visitors will also take in a Watford Town Tour on that day calling in to the Coliseum Theatre during their highly enjoyable and guided perambulation.